It's been all about iOS and Android on the mobile dev front -- forever chased by a distant Windows Phone -- but a new Linux project from the KDE community is seeking to change all that. There is scant information about the project, called Plasma Mobile and described as a free open source "platform for mobile devices" by its creators. Other organizations and media outlets call it a "mobile OS" or "a complete software stack for mobile devices" or "UI/mobile shell designed for mobile devices" or "a mobile version of the desktop Plasma UI." It comes from the KDE community, providers of the Linux desktop environment called Plasma, based on the Qt cross-platform application framework. KDE is one of the leading Linux desktops, along with GNOME. The KDE community, fronted by the nonprofit KDE e.V. 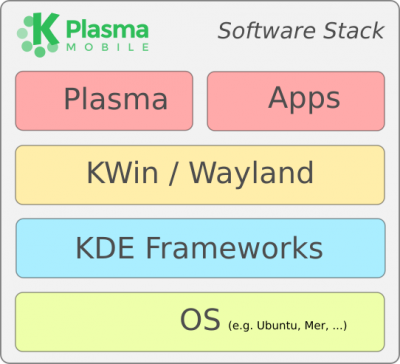 organization for official legal matters, just introduced Plasma Mobile, offering another target for mobile devs on Linux, whose modular architecture and DIY/hacker culture make it attractive to developers and users who like to tinker with underlying source code. "The goal for Plasma Mobile is to give the user full use of the device," Sebastian Kügler wrote in a blog post on Saturday. "It is designed as an inclusive system, intended to support all kinds of apps. Native apps are developed using Qt; it will also support apps written in GTK, Android apps, Ubuntu apps and many others, if the license allows and the app can be made to work at a technical level." Now being developed under an open process, Plasma Mobile is available as a prototype that can run on the LG Nexus 5 smartphone, said, Kügler, who works at Blue Systems in The Netherlands in his day job. 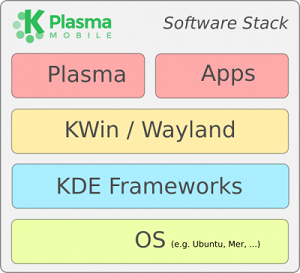 "Plasma Mobile's development process welcomes contributions at all levels," Kügler said. "If you want to get your hands dirty with a cool app, if you want to provide a system functionality such as a mobile hotspot, if you want to improve power management at the kernel level, if you want to help with the design, Plasma Mobile welcomes your contributions." For Linux developers, the Hacker News community provided plenty of fodder for discussion about its inner workings. A commenter called "sho_hn," apparently officially connected with the project (maybe Kügler himself? ), said: "Here's the stack as a quick recap: Kubuntu with systemd + Android GPU driver via libhybris + kwin as Wayland display server and compositor (with a hwcomposer backend for the renderer) + plasmashell + phone shell package. Ofono for GSM. 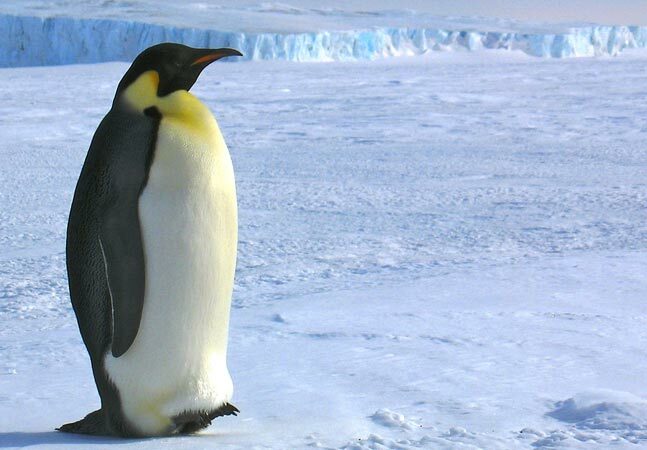 Regular Linux desktop bits for everything else." That probably means something to Linux-heads. In less technical terms, "Plasma Mobile runs on top of Linux, uses Wayland for rendering graphics and offers a device-specific UI using the KDE Frameworks and Plasma library and tooling," said Kügler in another blog post on the vizzzion.org site. For now, the project offers limited functionality that can be experienced on the LG Nexus 5, on which it can be installed similar to other software like Ubuntu Touch, another Linux-based phone project. "It can make and receive phone calls," Kügler said. "It provides a workspace to manage the system, and a task switcher to control and navigate apps on the device. There are also x86 builds, suitable for an ExoPC, for example, which can be useful for testing. Several apps have been included -- both native and third party -- in the device images to allow the system to be tested and improved." The source code is available at git.kde.org.